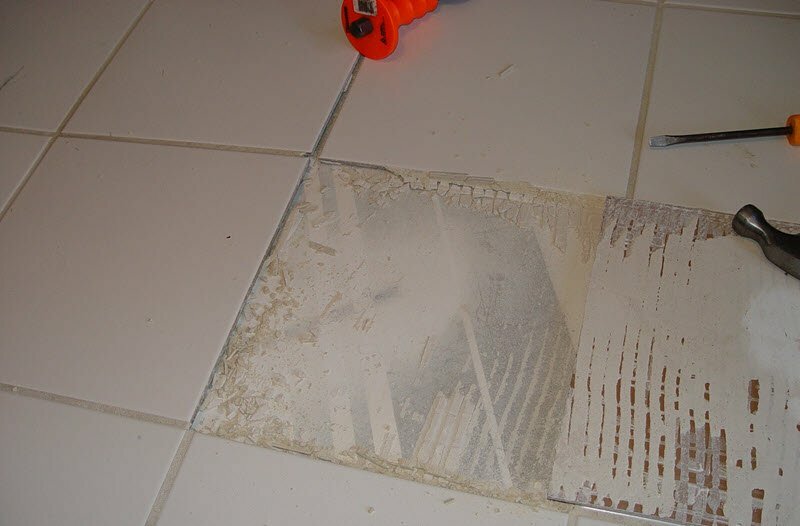 Substrate Preparation 101: Banish All Tile Bond Breakers! How concerned are you with protecting your tile installations from the horrors of bond breakers? If you're serious about it, you will spend time inspecting and preparing your substrate so as to prevent any situations from developing. 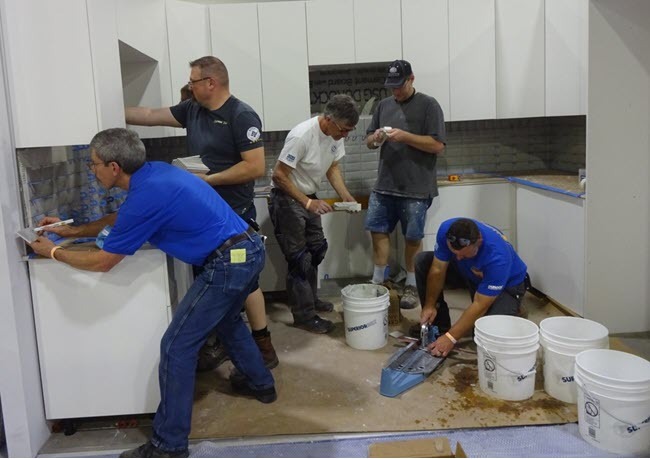 Yes, substrate preparation includes determining whether the floor or wall surface will be bondable and, most importantly, this needs to be completed prior to installing tile. Do You Have Enough Mortar to Accommodate Tile Warpage? When you install tile, do you ensure that you have enough mortar to accommodate inherent (actual) tile warpage associated with large format tile? Tile sizes are changing; getting larger, longer and proportionately having more inherent warpage. Likewise, changes are being seen in tile installation methods, using thin set and large and heavy tile mortars to accommodate tile warpage. Do You Ignore Grout Manufacturer Directions? I certainly hope you don't ignore grout manufacturer directions which just about guarantees that your tile installation will fail. In fact, that's true for just about all the products tile installers use. For the sake of this article, though, I'll focus on grout and more specifically High Performance Cement Grouts. Here's why you need to take the grout manufacturer's directions seriously. Never Assume You Have Sufficient Mortar Coverage. Check It. Is the mortar coverage under the tile you install really important? You bet. Do you just assume that you are getting sufficient coverage? I hope not. As often as mortar coverage comes up in articles about tile installation, you'd think that the problem would go away. Unfortunately, it hasn’t, especially in exterior and shower areas, for natural stone tile, and even high profile commercial installations. If you want your tile installation to function as it should, then don't assume you have sufficient mortar coverage. Check it. That's the best way to avoid costly callbacks and ensure a successful installation . ANSI Standards: A Tile Installer's Best Friend! 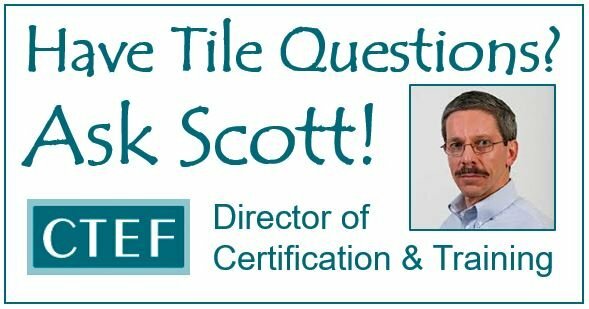 How familiar are you with the ANSI Standards for the Installation of Ceramic Tile? (ANSI stands for the American National Standards Institute.) If you aren't, and you're in the tile installation business, it's time you pay attention. ANSI Standards are a tile installer's best friend! How Do You Protect the Tub in a Bathroom Tile Remodel? As a conscientious tile installer, do you take the time to protect bathroom fixtures before you start your installation? Back Buttering Tile: How Important Is It? Do you back butter your tile? 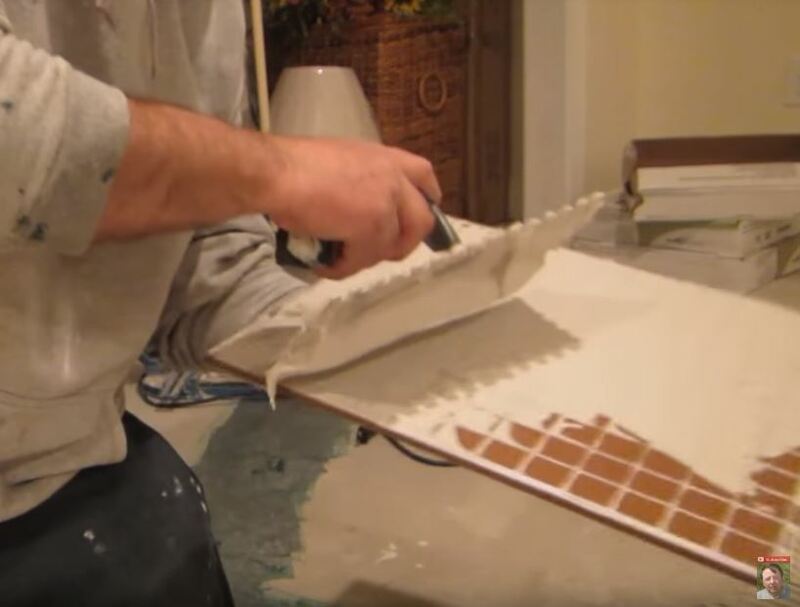 Back buttering tile is a highly opinionated and widely-debated topic among tile installers. Although it's recommended for natural stone tile, it's not always necessary or required to get adequate mortar coverage on ceramic and porcelain tile. So, how important is it? Why Do You Need Expansion Joints When Installing Tile? If you're wondering why you need to include expansion joints when installing tile, you've come to the right place. Let me explain why they are so important. For perspective, we originally published this article in August 2016 and expansion joints continue to come up in conversation, during training sessions and also in comments.